Established in the year 2001, at Delhi (India), we, “Om Sai Suneet Overseas”, are actively engaged in Import Trading and supplying in wholesale along with small scale manufacturing of cutting machines along with importing comprehensive range of Double Needle Sewing, Blanket Stitch And Shell Stitch, Decorative Stitch Sewing Machines, Special Decorative stitch, Smocking,Buttonhole,Flatlock,Overlock,Energy saving Servo motors ,Thread trimming and sucking, Snap Button Attaching, Multi Needle, Over Lock Sewing Machines, Cutting Machines, Fusing Machines,Roll cutting machine,bias cutter,Energy saving servo motor, with more than 400 models of sewing machines and industry setup for DENIM - JEANS,SHIRTS,BAGS.CAR SEAT COVERS ,KNITWEAR , SPORTSWEAR,HOSIERY,Lower,KIDSWEAR,HOME FURNISHING , SHOE AND LEATHER and many more . 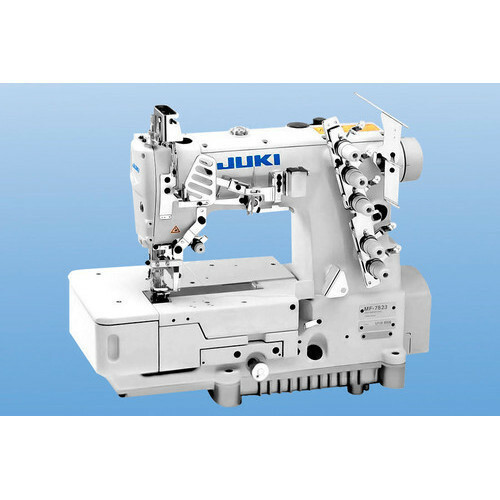 The offered range of products is designed and manufactured as per the components with the aid of cutting-edge technology in sewing cutting finishing made at the vendors end under the supervision of industrial professionals in Japan,Korea,Taiwan,china. T Furthermore, the offered range is available in various sizes, dimensions and technical specifications as per the requirement of client at economical prices. The products are sourced from Japan , Taiwan , China ,Korea ,Vietnam are 100% originals by JUKI BROTHER JEXX JACK as per the offered brand.